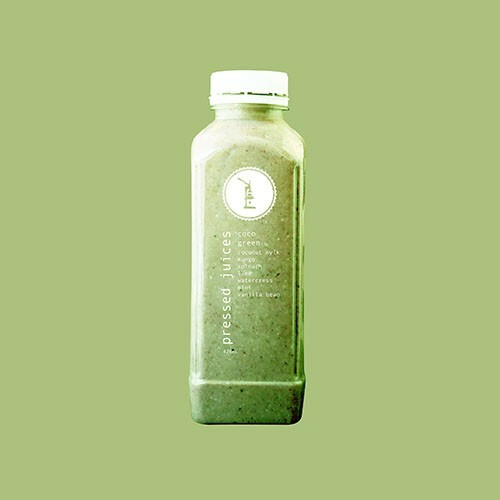 A delicious blend of fresh vanilla-­-coconut mylk and leafy greens with just a hint of tangy mango, Coco Green is a tropical green smoothie that will refresh your body in the morning or afternoon. Coco Green contains medium chain fatty acids that are found in coconut flesh which are easily absorbed for energy. Coco Green contains watercress, which is regarded as the most nutritious of all superfoods. With the combination of mint & watercress in Coco Green, this green smoothie can help stimulate digestion and relieve cramping & bloating. Great source of health fats. Assists in relieving digestion discomfort. Coco Green is an excellent ‘’on the go’’ breakfast option with its high fibre and healthy fat content.